Bhadaur is a town in the Barnala district of the State of Punjab. 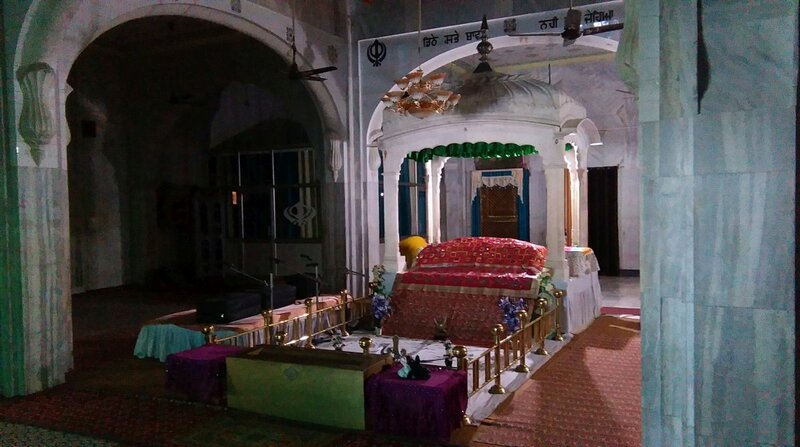 There are 3 Historic Sikh Gurdwaras in and just outside Bhadaur. 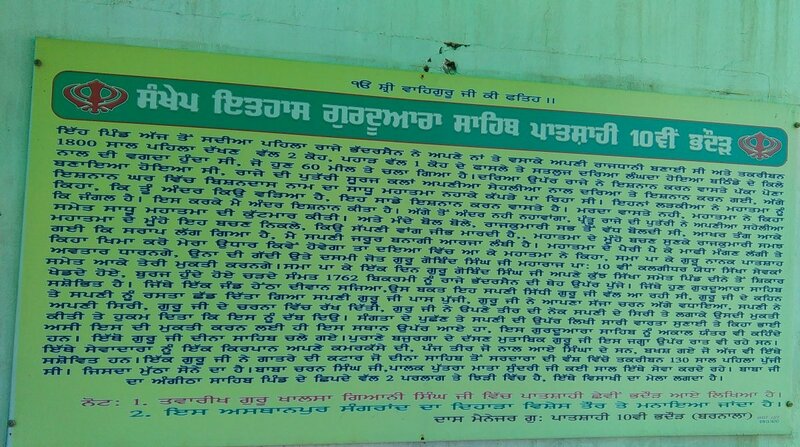 Guru Gobind Singh came to Bhadaur from Dina in December 1704. The area was an uninhabited jungle. 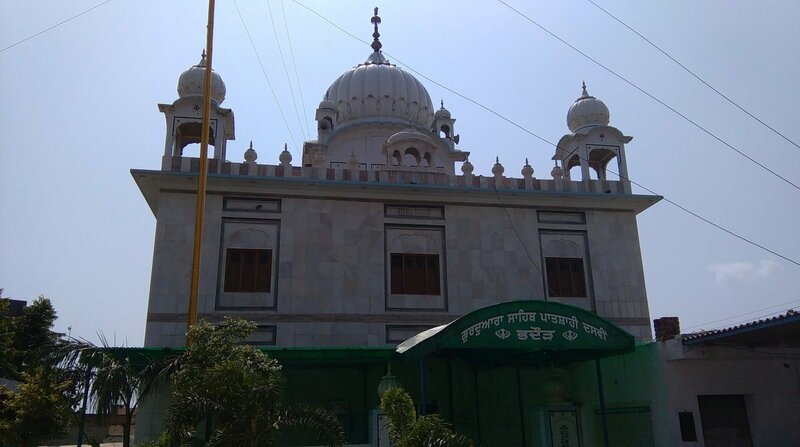 It was after Bhadaur was founded by Baba Ala Singh, the 18th century Sikh warrior and noble, that a Gurdwara commemorating the Guru's visit was established here. 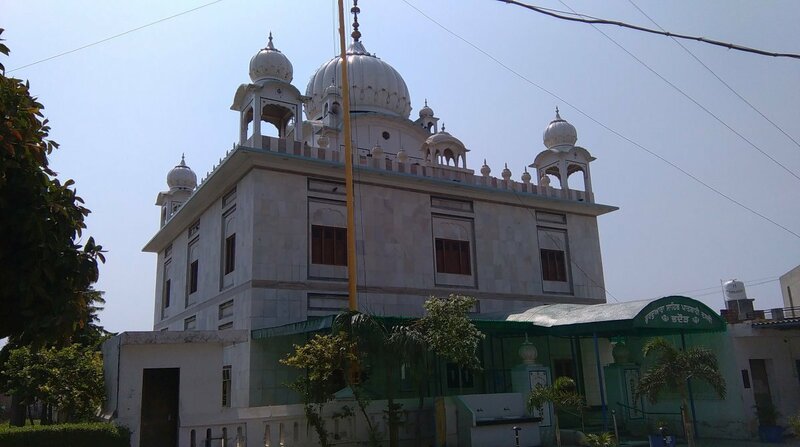 Local tradition has preserved the memory of Guru Hargobind having passed through this place so that the Gurdwara was designated as Gurdwara Sahib Patshahi Chevin Ate Dasvin (Andruni Qila), ie. 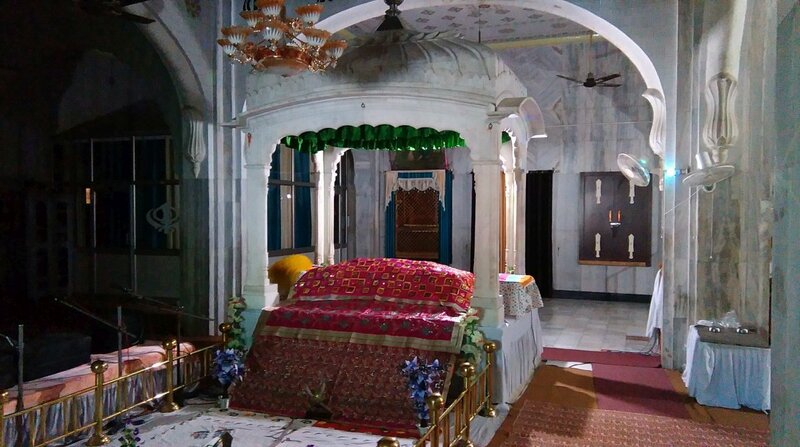 the holy Gurdwara dedicated to the Sixth and the Tenth Gurus, located inside Bhadaur fort. Gurdwara Sri Andruni Sahib marking the site of the original Gurdwara inside the town is a small building, the sanctum with a hall in front. 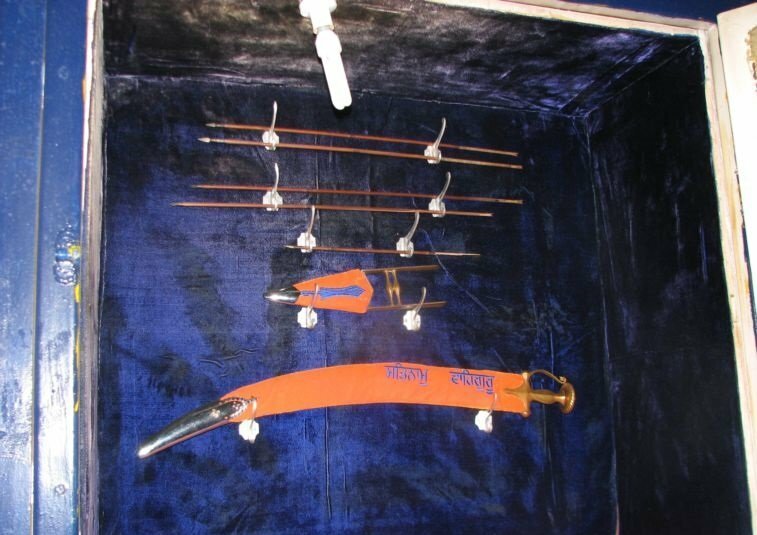 A sword and a dagger, believed to have come down from Guru Gobind Singh, are kept here as sacred relics. 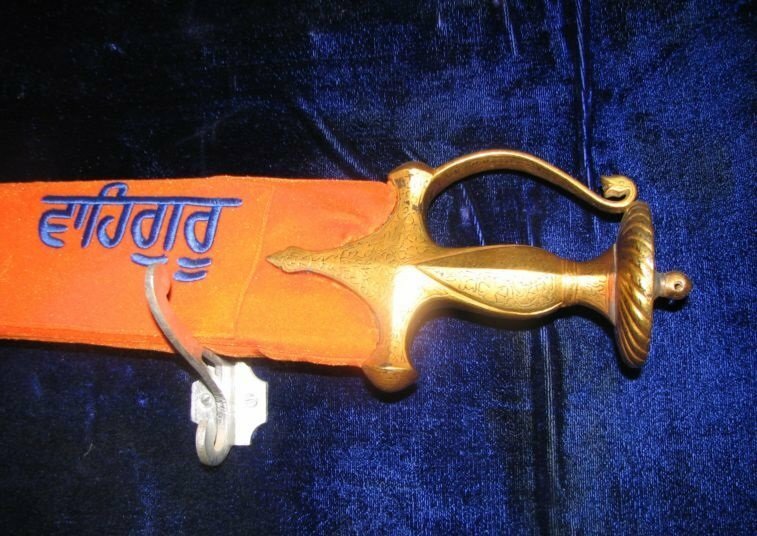 The hilt of the sword has the Gurmukhi inscription: Sri Akal Sahai Patshahi 10. 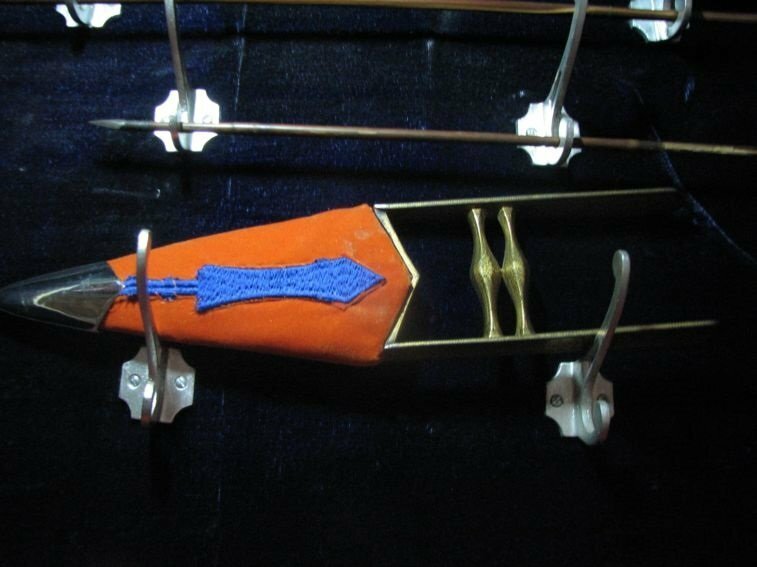 Its blade too has some numerals and legends inscribed on one side and a round seal in Persian on the other. 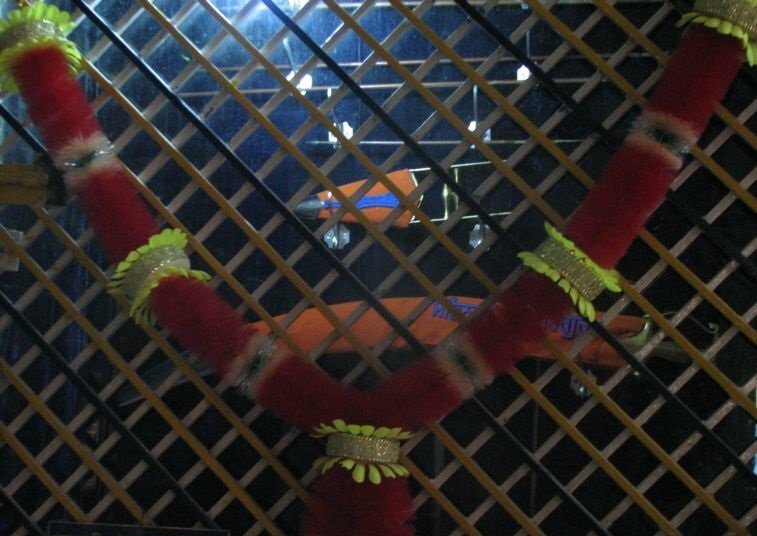 Sri Guru Hargobind Sahib Ji came to this location via Mehraj, Dapali, and Daraj. Sri Guru Hargobind Sahib Ji preached to the Saltania's here, who were inspired and became Sikh's. Vaisakhi day is celeberated here with great devotion and hence Gurdwara Sahib is also known as Vaisakhi Wala Gurdwara Sahib. 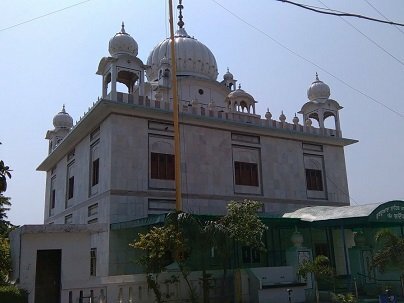 Gurdwara Sri Sapnisar Sahib is situated at Bhadour in the Barnala district. A long time ago, Raja Bhadarsen has made this village, Bhadorh his capital. It is said around 1800 years ago, the Satlej River used to flow near this village, about 1 km to the south crossing Bathinda Fort. The Satlej is now 70 km to the north. The Raja had a bathroom on the bank of the river made by the king. Princess Suraj Kala, the Raja's daughter, had gone to take bath with her friends in the river. When the friends arrived, they saw a holy man, named Bishan Das, who was taking a bath. The princess asked Bishan Das why he was washing at a place reserved for women. Bishan Das apologised and said this was a forested area which is why he took a bath in privacy but would not come here again. Instead of forgiving him, the princess insulted the holy man. Bishan Das cursed the princess and said her tongue was like a snake. Realising she had been cursed, the princess asked for forgiveness. Bishan Das said another holy man would arrive here and liberate her in future. In 1705, Sri Guru Gobind Singh Ji arrived in Bhadour. The home of Raja Bhadarsen was where Gurdwara Sri Sapnisar Sahib is located and this was where Guru Gobind Singh held a diwan. At that time, a snake came into the diwan and Guru Sahib asked his Sikhs to stay away from the snake. The snake went towards Guru Gobind Singh and then stopped. 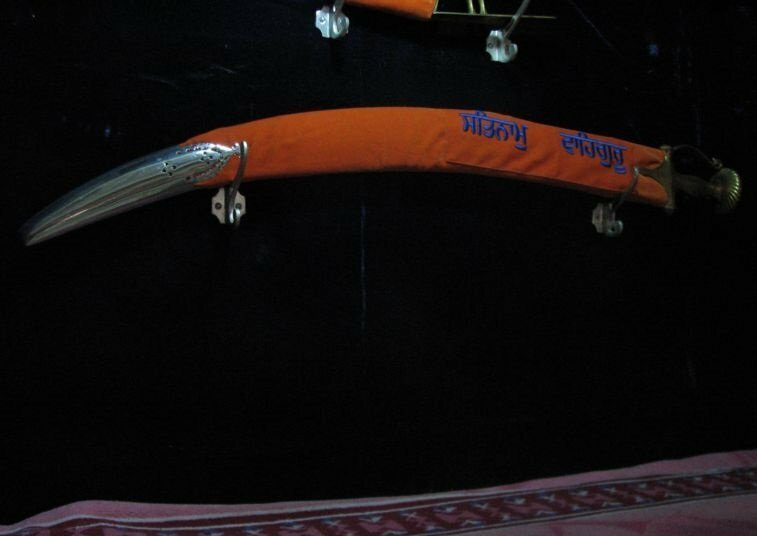 Guru Gobind Singh put the edge of his arrow on the head of the snake and liberated it. 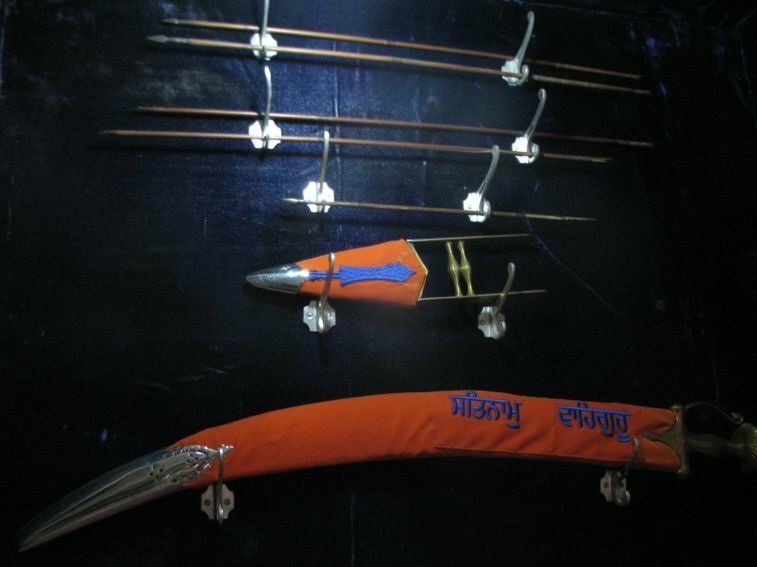 Guru Gobind Singh asked for the snake to be buried and then narrated the story to all who were gathered there as to how Princess Suraj Kala became a snake. This Gurdwara Sahib is also known as Akal Yantra. Guru Gobind Singh continued his journey towards Mukhtsar Sahib from here. 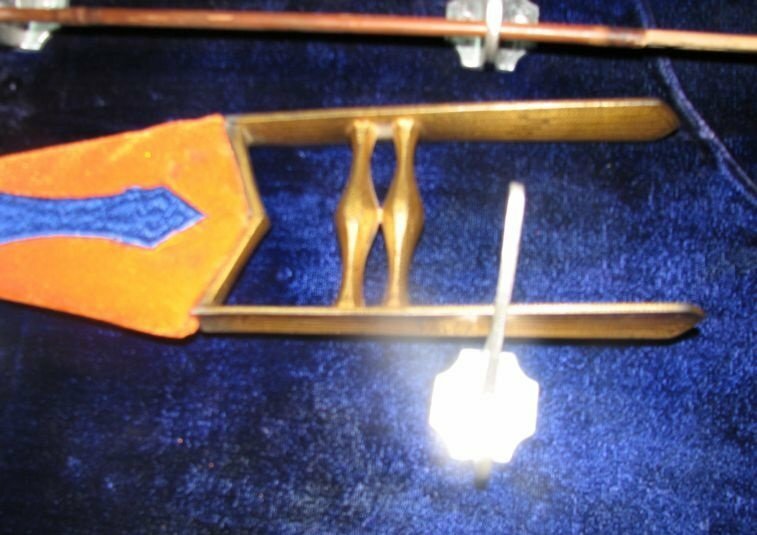 Before leaving, Guru Sahib gave the Sangat here a Kirpan, Katar and 5 arrows. 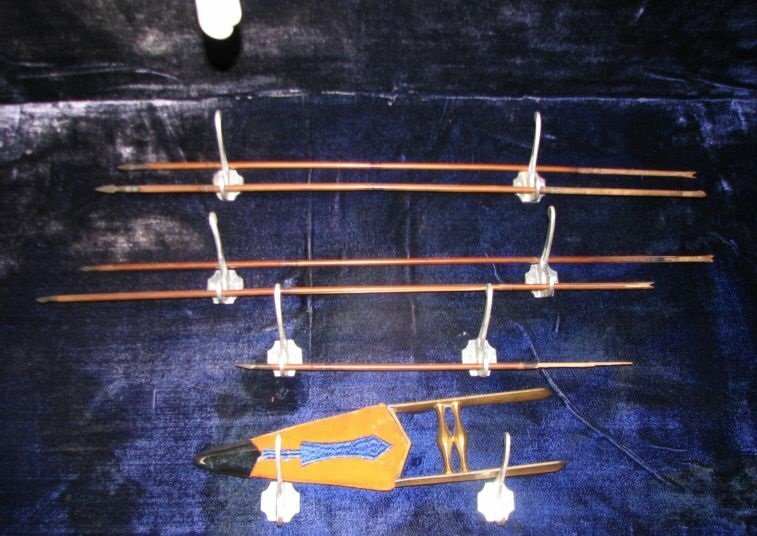 These sacred belongings are still preserved here.